Happy Monday! To kick off the week, I would like to continue the message of my latest post, “Believe In Miracles Everyday” by sharing one of my favorites from back in the day. I have always loved this song. It is incredibly inspirational and full of hope. Not to mention, it is so beautifully performed by two of my favorite artists. And to top it all off, it drives home the principle that was elaborately expressed in the previous post, that when you let go of fear and embrace the fact that miracles are possible through the power of your belief, the whole world opens up to you. 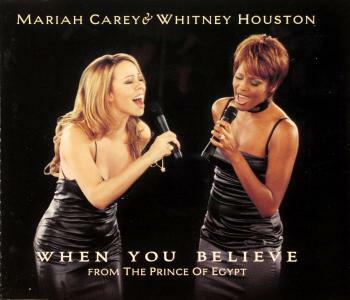 Enjoy Mariah and Whitney as they inspire us to believe! Share your thoughts in the comments: What songs remind you of the power you have to create miracles in your life? What songs inspire you to believe more in yourself and your dreams? Wow! What great lyrics and performance! Loved it! Anything is possible when you believe!